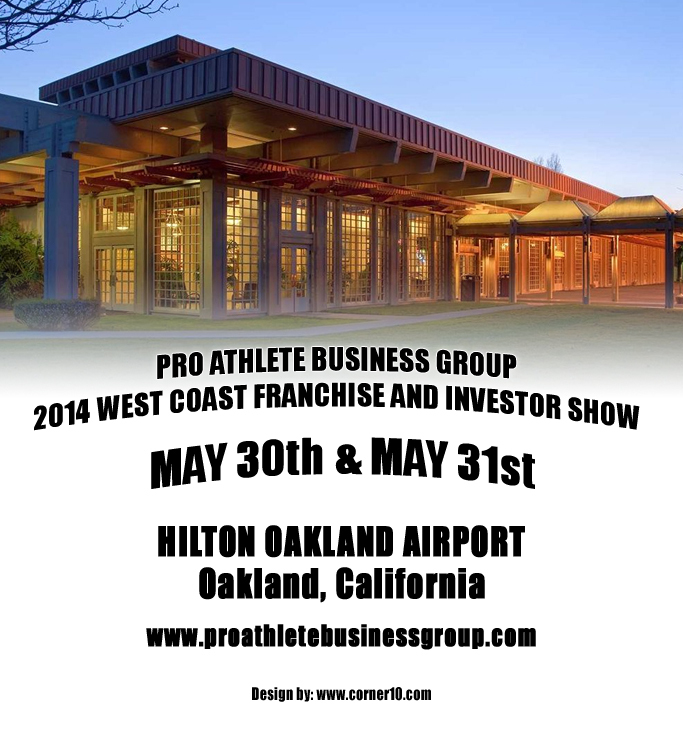 Pro Athlete Business Group presents the Pro Athlete Business Group 2014 West Coast Franchise and Investor Show. 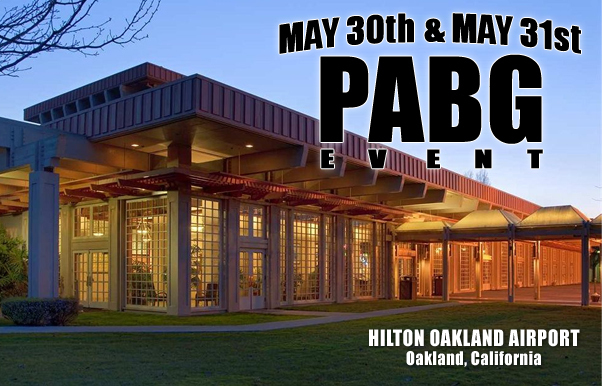 On May 30th and May 31st at the Hilton Oakland Airport in Oakland, California. Kellen B. Winslow will be this year’s Keynote Speaker. Click to read his bio. For vendors opportunities download the vendor registration form here. Hilton Oakland Airport is located at 1 Hegenberger Rd., Oakland, CA, US, 94621. All payments should be sent to Pro Athlete Business Group, Attn: Anthony Simmons, 152 Santa Margarita Street, San Pablo, CA 94806. Vendors are required to make their own hotel reservations Under Pro Athlete Business Group to get the discount rate, should you need additional rooms please inform the hotel ASAP. Please let the hotel know you will be a vendor a the Pro Athlete Business Group conference to receive the discounted rate on May 30th-31st 2014. Hilton Oakland Airport is located at 1 Hegenberger Rd., Oakland, CA, US, 94621. To book reservations, please call (510) 635-5000. Check in for Vendors will take place on May 30th from 9:00am-2:30pm at the Hilton Oakland Airport.‎ All Vendors must check-in and set up there booths. Detailed itineraries will be emailed to all Vendors two months prior to the event.